Beach Realty / Kitty Hawk Rentals offers over 450 homes from Carova Beach to South Nags Head. Family Owned since 1964. 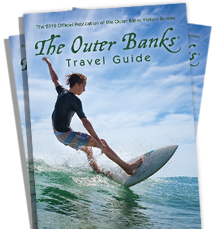 If this is your first visit or if you've been vacationing here for years, take time to explore the Outer Banks. Check out the village of Duck, or discover the 4-wheel drive area of Carova, visit the shops of Corolla, and the popular towns of Kitty Hawk, Kill Devil Hills and Nags Head. Roanoke Island offers an incredible amount of attractions and activities including the NC Aquarium, Lost Colony, Elizabethan Gardens, and more. Hike up Jockeys Ridge and take in the view at the top of the Wright Brothers National Monument. There's so much to do, fishing, surfing, lighthouses, and just relaxing on the beach.